Create a display of your favourite family photographs. 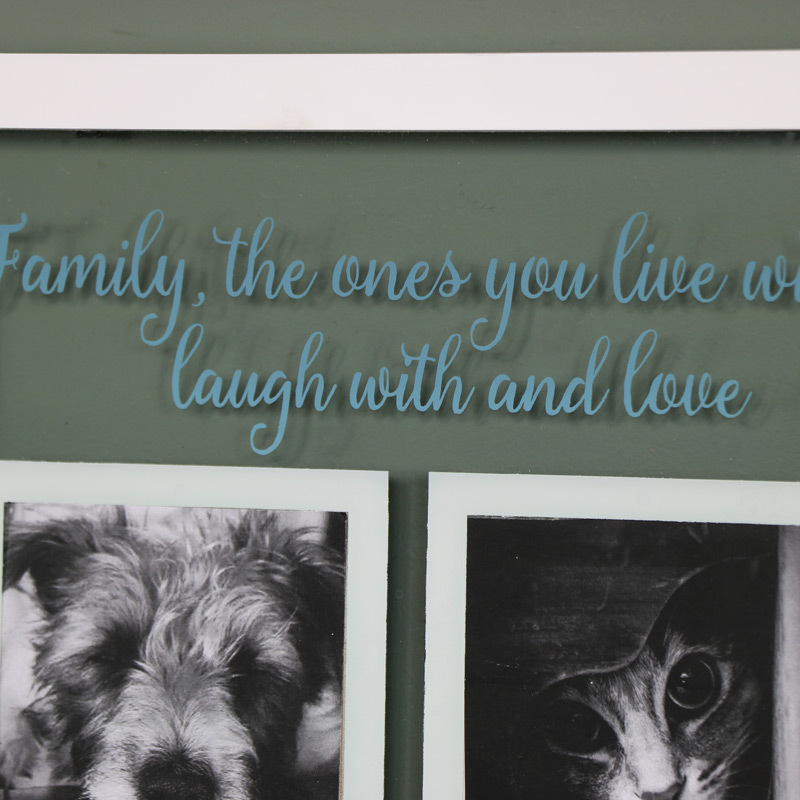 Four frames mounted in a glass frame with a sweet and sentimental quote about family. In vintage, shabby chic style that will make a thoughtful gift. This is a great way to display those candid snaps of your family. Displayed in a glass plaque mounted in a white frame. This is such a pretty way to show off your favourite photos. With a thoughtful, sweet quote printed in a flowing blue script, "Family, the ones yu live with, laugh and love". A great gift idea for family and Mother's Day. Create a display of your favourite family photographs. 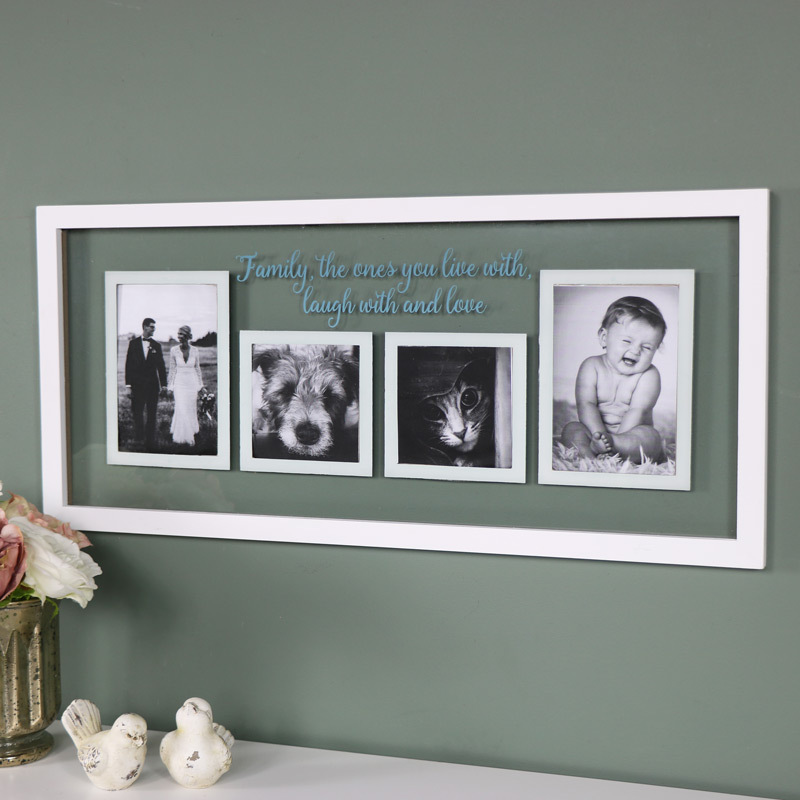 Four frames mounted in a glass frame with a sweet and sentimental quote about family. In vintage, shabby chic style that will make a thoughtful gift. This is a great way to display those candid snaps of your family. Displayed in a glass plaque mounted in a white frame. This is such a pretty way to show off your favourite photos. With a thoughtful, sweet quote printed in a flowing blue script, "Family, the ones yu live with, laugh and love". A great gift idea for family and Mother's Day. Glass plate mounted in white frame with 4 frames in 2 sizes, aperture measures 10cm x 15cm and 10cm x 10cm. Easily wall mounted with 2 hooks on the back for hanging. 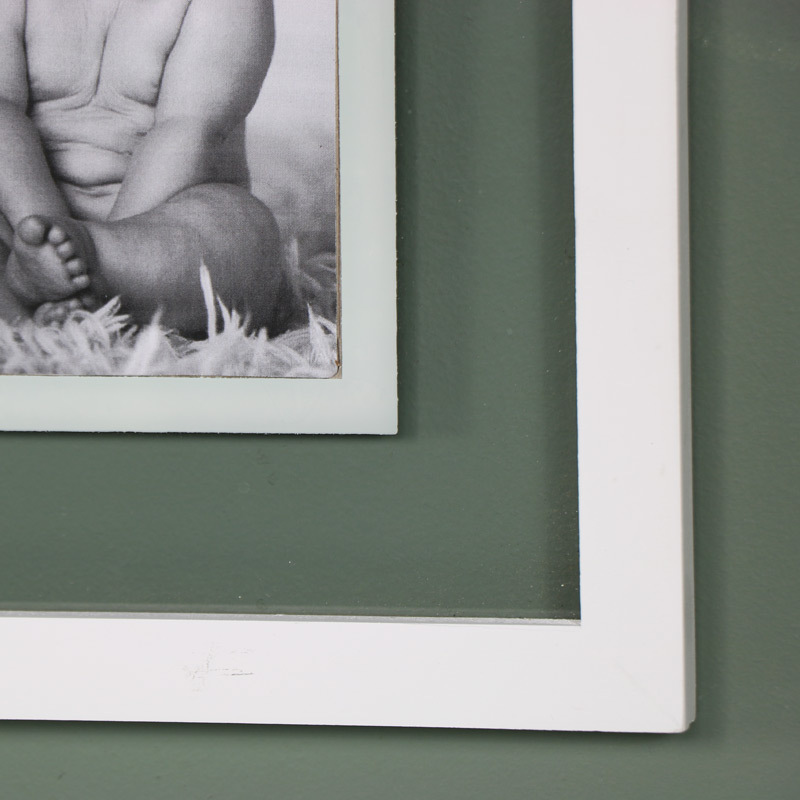 This photograph frame is just one of many frames that we have to offer. Display your favourite photo in the best way possible. Just a small part of our fabulous range of gifts and home accessories.